my name is Helen and my mommy and I would like to share my story with you so that more people can get to know about Childhood Cancer; in this case specifically Retinoblastoma. 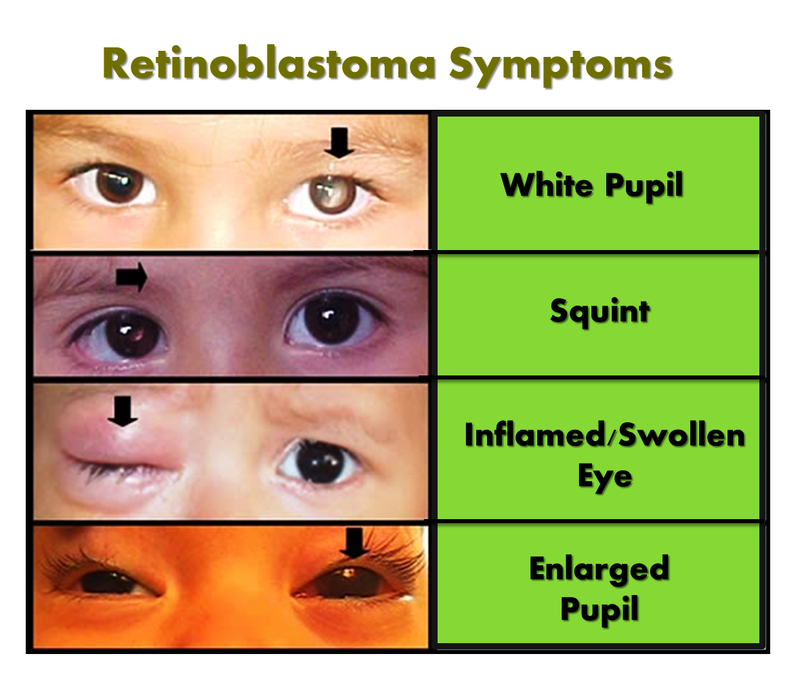 Retinoblastoma is a type of eye cancer that develops in the light-sensitive lining of the eye, called the retina, and can occur at any age but mainly occurs in children younger than 5 years of age and most often in those younger than 2. Siobhan and Kole Smith were thrilled at the birth of their bouncing baby girl, Helen, but a mere 6 weeks later they got a very nasty surprise. Siobhan was feeding Helen, and, looking down, got the strange feeling that she could look right into the back on one of Helen’s eyes… she thought it was just the play of the light or a reflection, but noticed it again later the same day and mentioned it to Kole, who jokingly told her she was just a paranoid mom. The feeling that there was something wrong did not go away however, and even though a friend told Siobhan not to Google it as one can get either the wrong information or some very scary info online, Siobhan did exactly that and came up with eye cancer – Retinoblastoma! Siobhan was in shock – babies do not get cancer! Cancer only happens to “Other People” (this is a very normal reaction to a cancer diagnosis)!! worried feeling would just not go away, and when she spoke to her mother about it, her mother saw the same thing she did. This relief did no last long however, as the ophthalmologist said it was either “retina infection” or “retina abnormality” or “a tumour” – of course one jumps to the worst case scenario – fortunately the ophthalmologist was very understanding and patient and calmed the worried parents down and made an appointment for Helen to see Dr Enslin Uys who specialises in the retina! Dr Uys did a special scan on Helen’s eye and immediately came back with a diagnosis of Retinoblastoma. With their worst fears just having been realised, Siobhan and Kole listened in shock as Dr Uys explained everything to them, and although much of this conversation was a blur due to the shock, it did stick that Helen’s eye would have to be surgically removed. Dr Uys explained that the reason that he wanted to remove Helen’s eye was that the tumour was already very large and he was worried that it either had already spread or would spread up the optic nerve and into the brain – if this happened there was really no chance of survival for a 7 week old child. This news was great for a new mom who knew nothing about how to deal with what the family were now facing. Just to make sure that his diagnosis was 100% correct, Dr Uys referred Helen to another doctor – unfortunately the diagnosis and prognosis were the same – the tumour in Helen’s eye was so big that it had detached the retina and she was blind in the eye – the only option was immediate surgical removal of the eye, which would also mean that Helen would not have to undergo chemotherapy, which is not recommended for a baby that young. This sharing of Helens story is so informative and going to be so helpful for parents who may have to walk a similar path.